Our mission is simple, we realize in order to be the best, we must be different. As a bagpipe player and CAD 3 Dimensional engineer, my dream was to develop the perfect Bagpipe Skin / Carrying Case. It was not nearly enough to create strength and stability in the design. It was very important to fit the everyday needs of the musicians who were doing the carrying and packing on the road each day. Without the many years of traveling with Bagpipes, the first hand experience of the ideal features could never have been discovered. 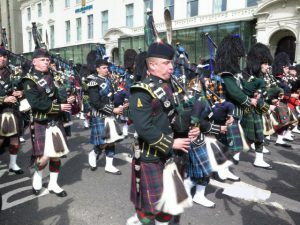 Drawing from the deep well of knowledge pooled during nearly two decades as an engineer, I started to use my skills to help make it easier for bagpipe music to reach as many people as possible throughout the world. 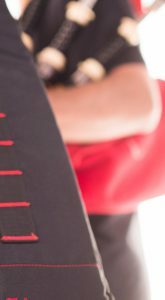 What better way than to make it easier for the musicians to bring the music directly to the people with the safest and best methods of protecting their instruments and themselves from unnecessary wear and tear. The Bagpipe Skin– Kyloe was a labor of love which gradually evolved from over 15 years of 3 Dimensional drawings. 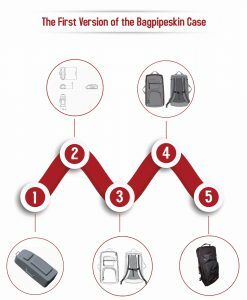 Each design and drawing improved based on the practical experience of carrying and travel. 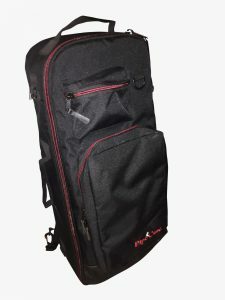 With a strong engineering background in bag design and contacts with the most respected material providers, it was relatively easy to choose very best components necessary to develop the finest qualities ever produced in the bagpipe industry. With only a short time before the 2015 Worlds Pipe band Championships, we had already completed the perfect design and secured only the best materials but the first “run” was simply too rushed. We had much to consider to create the perfect size and weight and the correct amount of accessory space. We had enough time to concentrate on perfecting the bag in the correct color, but our logo was not yet branded so we had to use adhesive to attach it to the bag. After listening to the great reviews by the best and most knowledgeable bagpipe authorities in the world, we made two more design enhancements to create a second edition and ultimately our third and final step in completing the Kyloe as we know it today. The feedback recognized the Kyloe as “great” on the first version but after 2 years of design to bring it to production, we wanted “perfect.” A few small changes were made to enhance the comfort of the piper. The version 2 started to catch on in popularity in Scotland, by the time we had completed the “perfect” version 3, both Canada and Australia had started touting our quality on social media. In February 2016 we were awarded the BAGPIPE SKIN sponsored pipe case to the National Piping Center Competition. The first version of the Bagpipe Skin case had to be carried by hand on the plane to Scotland. That first case had to be presented before selling could begin in Scotland. Traveling to shops in Glascow such as National Piping Centre, College of Piping, Begg Bagpipe, MacLeod Highland Supplies and the shop in Worlds to promote the case and receive the proper feedback. Carrying the case every day was a first hand testimonial for the comfort, durability and quality of manufacturing. I had a chance to carry the case and walk in Glasgow Green. The rains came and my rain cover had a chance to show off how it kept the case safe and dry. We provide only the best quality and accessories, period. Our pride in what we do is driven by the love we have for the Art of Bagpipe music. Please accept our invitation to become part of our family.